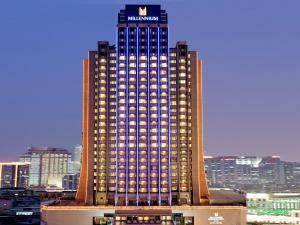 Featuring 5 dining options, Millennium Harbourview Xiamen offers rooms with free Wi-Fi and flat-screen cable TVs. It has a gym, a pool and sauna facilities. 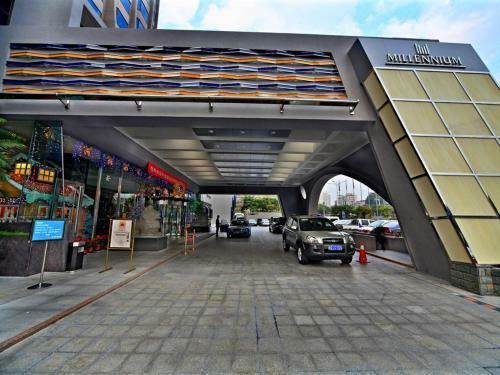 Millennium Harbourview Hotel Xiamen is a 15-minute walk from the famous Zhongshan Road Pedestrian Street or Lundu Ferry towards to Gulangyu Island. The Xiamen International Exhibition Centre and Xiamen International Airport are both a 20-minute drive away. It is a 40-minute drive from Xiamen North Railway Station. 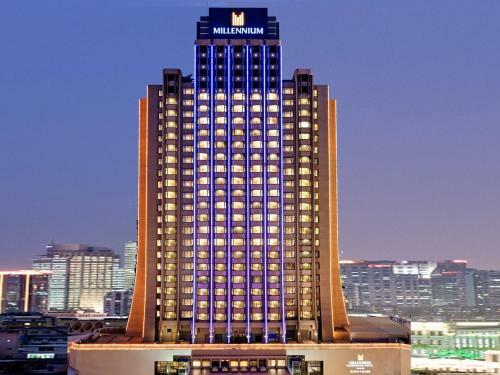 Spacious rooms at Millennium Harbourview feature en suite bathrooms with bathtubs and hairdryers. Minibars and tea/coffee makers are provided. Safety deposit boxes and ironing facilities are included. Guests of the hotel enjoy free parking privileges. Sightseeing arrangements can be made at the tour desk, while the business centre is available for guests’ communication needs. Chinese, Japanese and international cuisine is available in the hotel’s various restaurants. Authentic Italian cuisine is served at Portofino. The Lobby Bar and Hollywood Bar offer a place to relax over drinks at the end of a hectic day. Pokud rezervaci zrušíte do 18:00 v den příjezdu, nebude vám účtován žádný poplatek. Pokud rezervaci zrušíte pozdě nebo do hotelu nepřijedete, bude vám účtováno 100 procent z ceny první noci. DPH se neplatí městská daň se neplatí poplatek za služby ve výši 15 % není v ceně. Děti jsou v hotelu vítány. Za použití stávajících postelí pro všechny děti do 12 let se neplatí.Za dětskou postýlku pro 1 dítě do 2 let se neplatí.Za přistýlku pro 1 starší dítě nebo dospělého se platí 260 CNY na osobu a noc.Maximální počet přistýlek/dětských postýlek na pokoji je 1. Snídaně formou bufetu není v ceně, lze objednat a ceny mohou být různé.